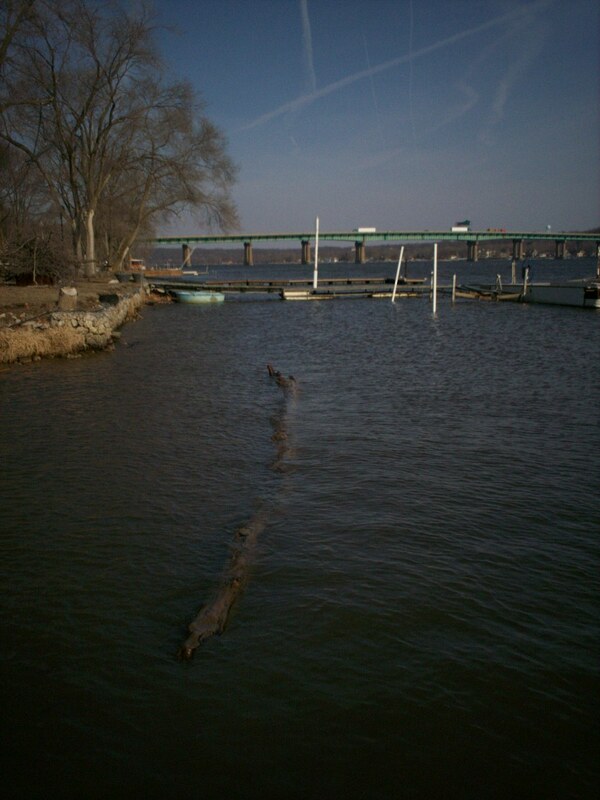 A big log is pointed right at our dock, about ten feet from shore. We do not even know how it got there since it had to manuever between our neighbor’s dock and ours. Right now it is not a threat because it is hung up in the Mississippi mud and not going anywhere. We need to be taller or have a longer pole to get at this thing. The interstate 80 bridge over the river can be seen in the background.